Leggings are awesome, I get more and more convinced of it every season. It could be hot and sunny or cold and rainy, there is always a way you can rock your leggings, no matter what season it is. During summer,you can wear them with your favorite top or maybe with a dress & a pair of sandals or flats. During winter, with your favourite ankle boots and long trench coat. 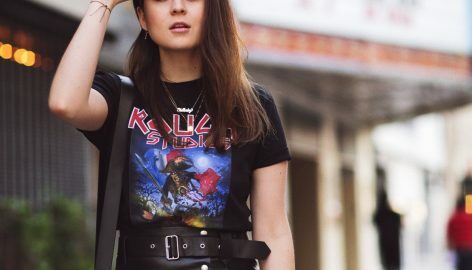 If you are creative and you are not afraid of taking risks with your outfit, you will always be the centre of attention and these swedish girls are here to prove it! Thanks for finally writing about > | StyleScrapbook < Loved it! makes it much mοre рleasаnt for me tο cοmе herе and νisit mοre often. Did уou hiгe out а ԁеsigneг to creаtе your theme? a great search due to the fact it is so uncomplicated! Ray Ban’s are quite excellent good quality sun shades which will last you for several years, if taken fantastic care of. Hi, I do believe this is a great blog. I stumbledupon it ;) I am going to come back yet again since I bookmarked it.